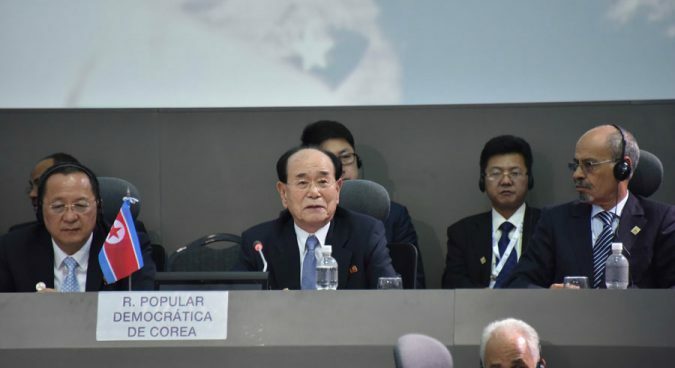 April 11 marked the likely end of the long career of the 91-year-old Kim Yong Nam, longtime Chairman of the Presidium of North Korea’s Supreme People’s Assembly, with the news that he has been replaced in that role by Choe Ryong Hae. Consistently listed among the country’s top officials, second only to the ruling Kim, this man’s ability to rise to power, and stay at the top, remains unmatched in North Korean politics. Kim Yong Nam was not born in Korea. His birthplace was Dapu Shihe village in Liaoning Province of China, or perhaps we should rather say Manchuria, since what now constitutes the Chinese Northeast was in February 1928 under the rule of a warlord Zhang Zuolin. Born Kim Myong-sam to a Korean-Chinese family, he came to the DPRK with the Volunteer Army during the war and chose to stay. 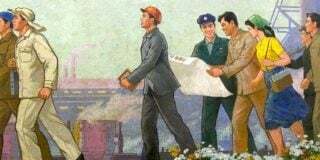 Even before the end of the Korean War, he went to study in the Soviet Union just about the time Stalin died. 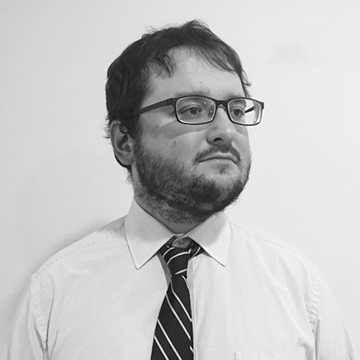 Having firsthand experience with both China and the USSR – the two most important foreign nations for Pyongyang at the time – certainly helped his initial career. He became a section chief at the Foreign Department of the Central Committee of the Party in 1956, and his advance through the ranks was steady, especially by North Korean standards. By 1962, he was a vice foreign minister, and three years later, on June 30, 1965, the Rodong Sinmun dedicated a small column to his speech. Just think about it: this was more than 50 years ago, at a time when many NK News readers were not even born, and Kim Yong Nam already was in the Rodong Sinmun. In 1972, he became Chairman of the Foreign Department of the Central Committee. Other promotions continued. A few months after Kim Jong Il was anointed Kim Il Sung’s successor, Kim Yong Nam became an alternate member of the politburo in June 1974. In 1980, he was promoted to a full member and given a position as a Party Secretary. He Kim Yong Nam received his last appointment in 1998, replacing Yang Hyong Sop as Chairman of the Presidium of the Supreme People’s Assembly. In this role has met various foreign officials as a personal representative of Kim Jong Il and Kim Jong Un, conducted visits abroad, and formally introduced suggestions to re-elect the Supreme Leader to another term as head of the country. 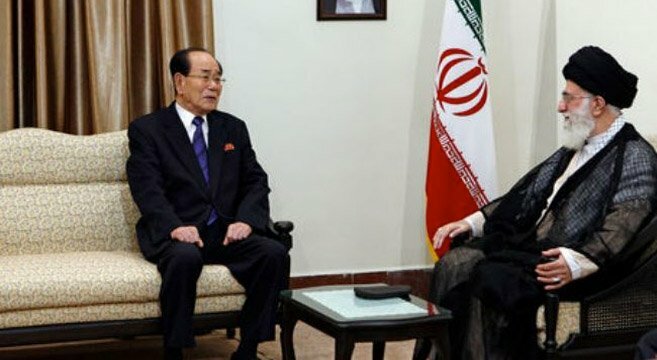 Kim Yong Nam kept this post for more than 20 years: a remarkably long term for any politician, let along in a dictatorship, and very few people in North Korea have managed to achieve anything of that scale. None of Kim Jong Il’s other subordinates ever received such treatment. 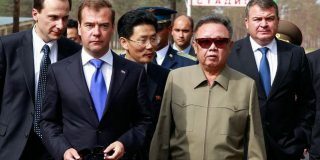 Anyone even briefly familiar with the political history of North Korea would have assumed that by the 1960s, a man with Kim Yong Nam’s background should have been dead. Born in a foreign land, educated in the USSR during destalinization – during paranoid times this would have been reason to have him purged immediately. Yet Kim survived where so many others did not. Moreover, unlike, say, another great survivor – Pang Hak Se – his career was uninterrupted. One could suppose that the reason was his exceptional diplomatic skills – probably even more useful inside the system than in international meetings. His foreign origins were eventually rectified, with his official biography now stating that he was born in Pyongyang, as any good North Korean should be. The only person in the North Korean history whose career achievements would match that of Kim Yong Nam would be O Jin U: a former KPA Marshal who passed away in 1995. Apart from his rank, O was the only man to hold the positions of head of the Armed Forces Ministry, Chief of Staff, and head of the Main Political Department at the same time. Yet, there is a key difference between the two. O Jin U was one of Kim Il Sung’s comrade from Manchuria, making his ascension more or less a given. On the contrary, Kim Yong Nam’s background should have seen him disgraced and purged at some time in the 1960s. With his over six-decade-long career coming to an end, very little remains known about Kim Yong Nam. While it is clear that we are dealing with a man of genius-level political skill, only when the DPRK archives are open will we learn whether he used his power to help, or hurt, those below him. Kim Yong Nam’s retirement comes amid growing uncertainty and, potentially, crisis in the DPRK. It seems more and more likely that Pyongyang really expected a miraculous deal in Hanoi and, like the U.S. political elite before it, learned the hard way never to underestimate Donald Trump. Domestically, the economy is under strain. 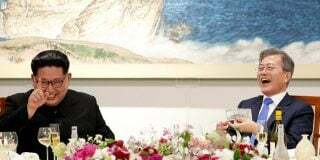 This week’s dismissal of the reform-minded Pak Pong Ju from the premiership and the unprecedented rise of the unscrupulous Choe Ryong Hae do not give this author hope. Will Kim Jong Un succeed in this age of uncertainty – like the Kim dynasty always has – or will he finally falter? No one knows, of course. 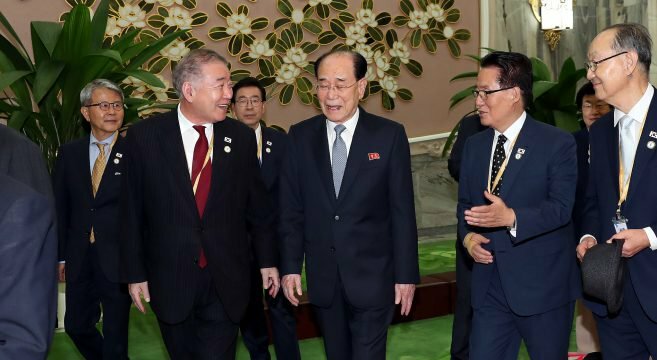 Yet even if things were different and the Republic stood to fall apart in the next decade (still quite unlikely), Kim Yong Nam would likely not live to see its end. What awaits him, instead, is an honorary and well-deserved retirement — and perhaps a sigh of relief at his remarkable good fortune. Subscribe to read the remaining 1030 words of this article.